My friends and I have done it before, we rented a boat for a few morning hours on Rice Lake. We soon realized that we were 4 guys, in an aluminum boat, no instruments, and no idea where to FIND THE FISH! So we fished an arbitrary spot in the lake on bottom with worms/hooks, caught very little. We kept changing spots, but nothing any more exciting than tiny sunfish. What would you guys do in this situation to find fish? Maps help when you have figured out where they should be. You can start with the lake map, look for drop offs, points or weed lines, you can also ask questions from where you rent the boat, they will show you some area to start. Figure out what fish is in the lake, then troll with an appropriate lure. Or bounce a worm off the bottom real slowly. 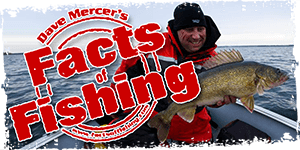 Try and understand the habits of whatever species is in the body of water you will be fishing. Scan the shoreline, for cover, shade, rocks,etc. Match that with what you know about the fish you are targeting, and FISH! Invest in a small, inexpensive, and portable sonar. It is an invaluable tool if you are serious about fishing. The best way to find fish is by trolling as you cover the most amount of water in the shortest amount of time....it also catches the larger fish of any given body. Same way we did it long before the ages of Fish finders. Use your eyes, and your head. Know your species habitts and habbitiat and look for it. Trawling is a great way to cover water, so I do just that. I then take note of area's that have what I'm looking for in the way of habbitat while trawling. Then when you've identified a few areas along your trawl, swing back and cast them....if they don't produce move along and start over. Any trip in which I go to a lake I have never fished before I like to spend time and go over bathymetric maps and satellite images [whatever maps I can get really] and try to determine areas that look like they hold fish. Next I look through my various books, research articles on the internet and ask around on internet forums. If I am staying at a lodge/resort, I talk to the lodge owner/staff and other guests; and share fish stories/information throughout my stay. As already mentioned, a sonar works wonders and trolling is a great way to cover a lot of water. A GPS is important too (you can get the Navionics maps for most cell phones now for relatively cheap - not the best "GPS", but it's still useful even if you just use the maps) and can at least get you in the general vicinity if you don't have a sonar. Regardless of the amount of effort I put into my "pre-fishing research", there is no guarantee of finding active fish. My last trip was a good example of that. Never hurts to prepare though. On a lake like Ricethe lazy way would be just mingle in with the group boats that are fishing around islands,weedbeds and just pay attention,usually if you see a gathering of boats in a certain area and they are fishing ,then they are usually catching. I've always been an explorer when fishing on new water and only depended on fish finders to show depth for the most part and the fish come next but thats me...Heres my approach that has put me into fish time and time again on new water. Always look for structure whether its rocky shoreline outcrops leading into deeper water. Weedbeds to deeper weed lines,points,saddles between points and suttle indentations on the shore line. All these you can see as you cruise the lake shoreline in search of productive water. Before fish finders came about that's the way we all did it. Fishing in shallow and then gradually making your way out to deeper water from structure is one of the most basic methods.Once you loose sight of structure under the water weeds or boulders and such and move into open water things might change up a little in your presentations but the fish will still be there suspended or right on the bottom pending on forage. Fish like walleye can show up on shallow weedbeds in the middle of the day if there is food for them or they can be found on rocky drop offs from points into saddles near the thermocline usually found in and around 20ft pending on how far the sun is penetrating into the depths. 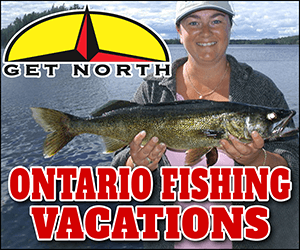 You may also find large predators that feed on the walleye that are feeding on the smaller bait fish in deeper water like,pike or muskie so be prepared. Fish also live in specific areas different times of the year so you will have to keep that in mind as well. So much to consider when you pull up to a unfamiliar lake to fish. This is where a guide realy comes in handy even if its only for a half day or a couple hours. You will pick up a lot of know how in this small period of time or the other scenario, spend many visits to lake going home empty handed and frustrated. Think about where fish live...They like the same types of places on all lakes. Try not to be overwhelmed by big water. When I'm on a new lake I try to think of it in terms of a series of smaller waters...Here's the launch and to the left is a lily-pad cove...Fish there...Out a bit is point, fish there...Over there is an island, fish the ends...Okay, there's a weed-bed off of one end...Fish there, and so on. I generally fish for Bass. The key spots I look for are Points, Islands, Rocky-humps, Weed-beds, Bays, Channels, Rock-fields, Collapsed rock walls, Inlets and Outlets. You need to be able to cover three areas. The surface, the bottom and mid-depth. If you had a bag of Senko's a some split shot you could cover them all. Most shoreline structures continue into the lake body. If you're looking for drop offs, look for a point extending out into the lake. Chances are it continues into the lake itself. A lot depends on what species you are after. If you're after cold water species, then look for deeper water or bays on the south shoreline of the lake. If you're looking for warm water fish, then the opposite is true. A little knowledge about your species of choice and physics goes a long way.